It's checking for the right gear, right clothing and reading online reviews and recommendations. On my blog you can find in-depth reviews, packing lists dialed in for a particular destination, and many articles with advice and tips for backpackers of any level of experience. On this resource page you will find distilled basics and most useful (in my mind) tips and pointers. I hope you can find it helpful! I hope it will shorten your prep time and ease some anxiety! In addition to the gear and clothing needed for any hiking and camping trip, you will also find accommodation resources for hiking in Scotland, useful online sources, online blogging tools and accommodation reservation tools. 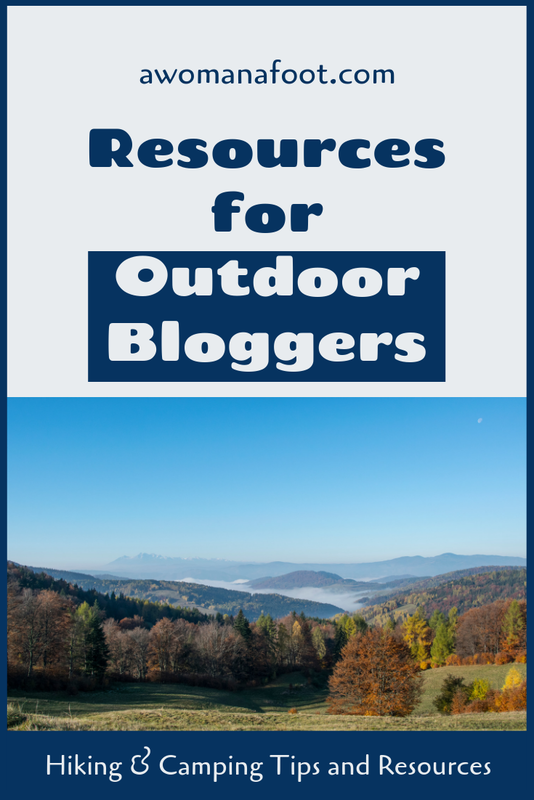 I also share with you my favorite Outdoor bloggers - fellow Nature lovers, hikers, campers, and adventurers of various styles, genders, expertise levels, and locale. These pages, in addition to awesome tips and info, contain affiliate links. It means, that if you click and buy something I receive a tiny commission at no extra cost to you. Thank you for your support! To make things easier for you, I want to share what resources I use often or where I found useful information. Why do all the googling if I already did it, right? I hope you find them useful. I have a Booking app on my phone and I found it the most popular and widely used. It saved me a few times when I was hiking on Crete or in Spain - it was the only way to check if there were any open hotels or B&Bs I could use (I often wild camp for 2-3 days and then stay in cheap hotel). Get to know more Outdoor bloggers - mostly fellow female adventurers who inspire me every day! Are you interested in starting your own hiking blog? I must admit that my beginnings were pretty harsh and filled with mistakes and hiccups, but I’ve learn a thing or two along the way. Below you can find a few tools I find extremely useful when blogging and promoting your blog. More than a year ago, I switched from the free WordPress to Squarespace and I can highly recommend this platform (no affiliation!). Yes, I have to pay for it - but I find the platform easy to navigate and use, and simply beautiful to look at (at least that’s what I think). For a long time I’ve been using Tailwind to schedule my pins on Pinterest. I use the scheduler and tribes and I highly recommend the app. You can start with the free setup to try it out. I got the paid version and I don’t regret it, it’s a great time saver! If you want to give it a go - click on the image on the right! If you are looking for stock photos for your blog, you might want to take a look at Shutterstock. I contribute my photos there and it’s a great option for both photographers and people who need beautiful imagery for their blog. If you are an artist and would like to sign with Shutterstock - click on the image to the left. If you would like to see my gallery: A Woman Afoot Photography - click the button below! Most (if not all) bloggers try to monetize their hobby in some way - if only to cover the costs of running a blog. In the beginning, I used Amazon only but I try to shift away from the monster retailer because of ethical concerns. There is more and more evidence, that Amazon does not treat its employers with dignity and does not provide decent living wage. Fotor is an established online photo editing, collage, graphic design tool. It offers all major editing functions (photo retouching , photo effects, etc) plus our patented HDR technology. Daily graphic design solutions including: facebook cover, Card visuals can also easily be created by Fotor. I downloaded the app to my computer and am satisfied with the easy-to-use program. Check it out! Another great tool for editing photos or (what I use it for) preparing banners, pins or social media graphics, is Canva. You can use the free version and create easily beautiful and professionally looking graphics to promote your blog. It’s my go-to to create my pins and featured images for blog posts. You should definitely give it a try! I am not a native English speaker, and although I think my English is pretty good, I know I make a lot of mistakes. I strive to make my blog easy to read and professionally looking so I can’t have any big mishaps in the language department. I started using the free Grammarly version a long time ago, but a few months ago I decided to invest in Grammarly Premium. Before I hit “save and publish” I always run the text through Grammarly. It not only catches big mistakes but also helps me to work on style, repetitive vocabulary, and minor issues. Next to paying for blog hosting and design, I find buying the Premium version of Grammarly the most critical investment in A Woman Afoot. Hiking Hydration: All You Need to Know! Why I Will Never Be an Ultralight Hiker… and Why I’m OK with That. My Hiking & Camping Gear Winners: Gear I Use, Love, and Recommend. Camping in the Rain: Top Tips, Hacks, and Gear! Fantastic Gift Ideas for Female Hikers! What's In My Backpacking Kitchen (and why)? Fireless Backpacking - For the Love of our Planet (and Ourselves)! Do you like this resource page? Share it with your friends and pin for later!